A Florida teacher exam, thousands are repeatedly failing, is raising more questions after new data shows minority examinees are failing up to double the rate of Caucasian test-takers. Investigative reporter Katie LaGrone continues her two-year-long look at Florida teachers, failing &amp; frustrated. Two years after we first exposed how thousands of teachers and aspiring teachers are failing a revised teacher licensing exam, state data reveals minority examinees are disproportionately failing the state mandated teacher test. 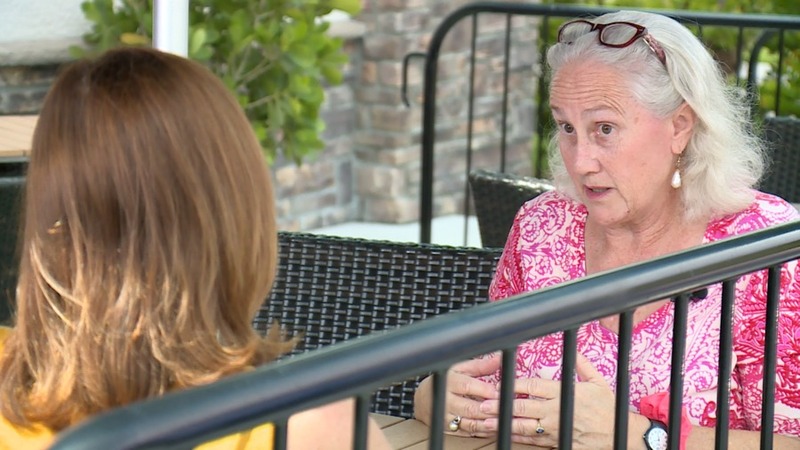 “These are tears of frustration,” former Florida teacher Deborah Quinn told us this summer after learning she was terminated from her South Florida school for not passing Florida’s Teacher Certification Exam (FTCE). The state requires teachers and aspiring teachers pass the test if they want to teach in a Florida classroom. Now, new data Investigative reporter Katie LaGrone obtained from the Florida Department of Education (FLDOE) through a public records request shows minorities taking the test are disproportionately failing the test. “You have no idea how much I cried over this. I’m heartbroken, I’m frustrated,” Claudia Borges told us in 2017. Borges was a kindergarten teacher in Hillsborough County but lost her job because she could not pass the General Knowledge (GK) math section of the test. Borges took the test 5 times. 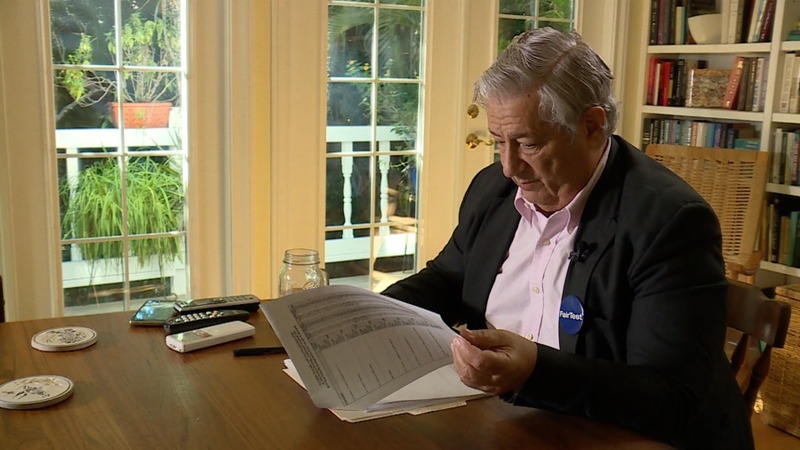 State data shows Borges is one of 60% of Hispanic examinees who failed the GK math test last year. While black examinees also experienced disproportionately high failure rates with 74% flunking the test during the same time frame. However, of Caucasian examinees who took the same test, 43% failed, leaving the majority passing the test last year. It’s unclear how this data compares to previous years. According to Cheryl Etters, spokesperson with the FLDOE, the state started producing demographic outcomes on the FTCE test in 2015, when the test was made more rigorous. We’ve asked for 2015 & 2016 data but have not received that information yet. We’ve also requested 2014 data. Lee County’s school district hiring boss, Dr. Angela Pruitt, started studying the racial and gender breakdown of its own teachers taking the exam because so many were repeatedly failing it. “It’s a concern,” she said. “If we’re struggling to get recruitment in minority categories than that makes recruitment that much harder,” she said. Pruitt is also calling on the state to offer more alternatives to people who would like to teach in Florida instead of putting so much emphasis on the FTCE exam as a prerequisite to teach. In 2015, portions of the tests were revised and made more difficult. According to the FLDOE which oversees the tests, the tests were made more rigorous to better align with more rigorous student tests. But two years ago, Investigative reporter Katie LaGrone discovered that immediately after those revisions were implemented, failure rates began to increase dramatically with failures on some sections of the test increasing by 30%. • More than 1,000 teachers were terminated this past summer despite having records of being effective or highly effective teachers. • School districts already struggling to fill empty classrooms have been forced to fill more positions or higher long-term substitutes to fill those positions. • College of Education programs have seen a decrease in enrollment and increase in the length of time it takes students to graduate. It’s become a statewide crisis testing critic Bob Schaeffer of Fairtest.org says raises more questions with this latest data. In total, the data shows last year Caucasian examinees, overall, passed the FTCE at double the rate of black examinees. “It ends up whitewashing the teaching population. It’s very disappointing that Florida which is increasingly diversifying as a state, particularly, in public schools, is excluding talented people of color from the classrooms based solely on a flawed multiple-choice test,” he said. "It ends up whitewashing the teaching population," Bob Schaeffer of Fairtest.org told us. 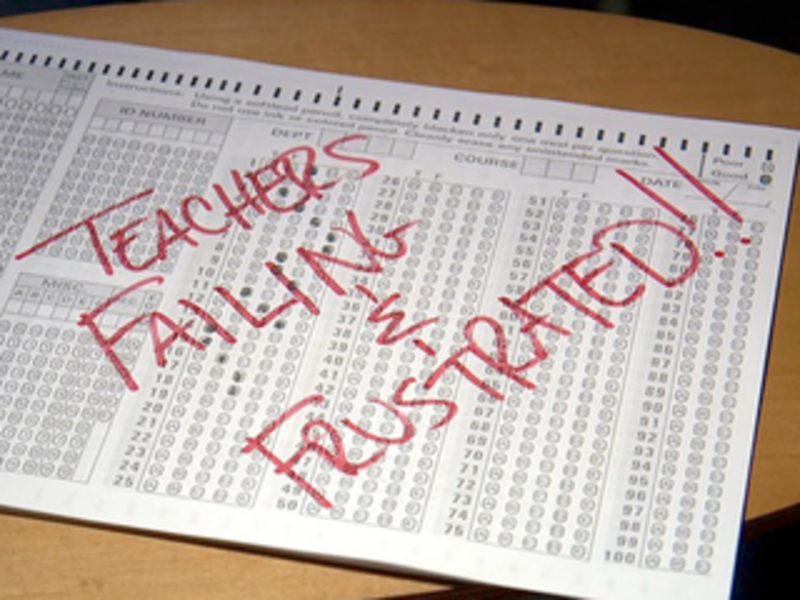 Lawsuits have been filed in several states over biased teacher tests. In New York, the state Department of Education is settling a billion dollar class-action lawsuit over a racially biased teacher certification exam. as determined by a field of Florida educators, of a beginning effective teacher candidate. “The tests are not flawed! The tests are good tests,” said Dr. Mercedes Pichard, a high school English teacher in Lee County who has served as a ‘subject matter expert’ for the FLDOE. As a subject matter expert, Pichard has served on about a half-dozen committees tasked with reviewing every question on the FTCE exam for fairness and cultural bias. “The tests are valid. They’re evaluated and looked at so many times.” But, Pichard admits, examinees whose first language is not English are at a disadvantage on the tests, which are timed. Dr. Mercedes Pichard, a high school English teacher in Lee County who has served as a ‘subject matter expert’ for the FLDOE. “You’re always going to process things slower if English is not your first language. It’s not fair to penalize you just for slower processing rate,” she said. Pichard would like to see the state better accommodate minority examinees. While many of those minority examinees who have shared their stories of failure and frustration with us have already moved on, the only way they can.